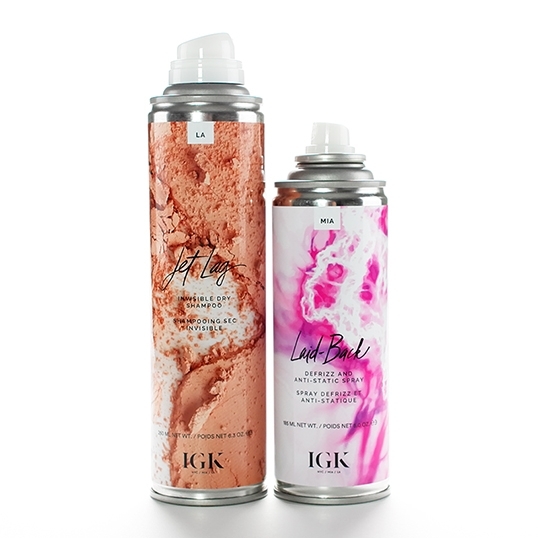 Luxury hairstyling brand, IGK, was founded by in-demand stylists from Miami, New York, and Los Angeles. YOU GOTTA VIEW THESE GUYS ONLINE! These stylists are really fascinating and their individual styles are so intriguing. I'd fly across the country and break the bank to get an appointment with any of these stylists - maybe Aaron, Franck, Chase or Leo can recommend a solution for my 'forevermore' damaged bob. Yeah, I tried to go blonde last June and am still suffering the consequences. This modern product line has something for every hair trend. My hair is damaged, so I can't experiment with hair products too much. I try and stick to nourishing products, but I do spritz on a little dry shampoo or dirty spray once in a while. When I get my healthy, silky stands back, I'm gonna indulge in all the IGK products. My favorite aspect to this brand - the scents. I love the NYC scent of Smoke & Mirror Conditioning Cleansing Oil. I only wash my hair twice a week, and I feel like this cleansing oil doesn't get the three-day grit off my hair - but if I had to do an in-between wash, this would be my go-to product. For anyone that washes daily, I recommend swapping your shampoo for Smoke & Mirror Cleansing Conditioning Oil every other day. Did I mention that it smells amazing?! The Down & Out Dirty Spray is a great styling product. I have a bob (well kinda) - more like a damaged shag! This spray adds texture and volume. The only downside is that my hair has to be washed the next day. My hair looks really greasy and dirty the morning after applying it. I love this product, but just gotta plan the application prior to a wash. The Dirty & Out spray also comes in a travel size. The Prenup Instant Spray Hair Mask is my favorite. The LA scent is sweet and soft. The application is easy - wash your hair, apply the product (it's a 360 aerosol spray), wait a minute and rinse. Your hair will feel so soft and nourished. If this mask can combat my dry, damaged hair, it will do wonders for the average mane. I LOVE this product. The Jet Lag Invisible Shampoo works great to soak up the oil and create volume, but I'm hesitant to use anything that has 'dry' in the label too often. The scent is nice, but a little strong. I'd prefer this product to smell like the Prenup instant spray hair mask. The Laid-Back Defrizz and Anti-Static Spray has dropped from heaven and answered my hair-static prayers. If you have fine hair, you know static can be super f**king annoying. I used to use Static Guard (yes, the anti-static material spray) on my hair to combat static, but am happy to have a 'hair' styling product replacement. The MIA scent is sweet and subtle. I LOVE this product. Yeah, these products are expensive, but worth it. 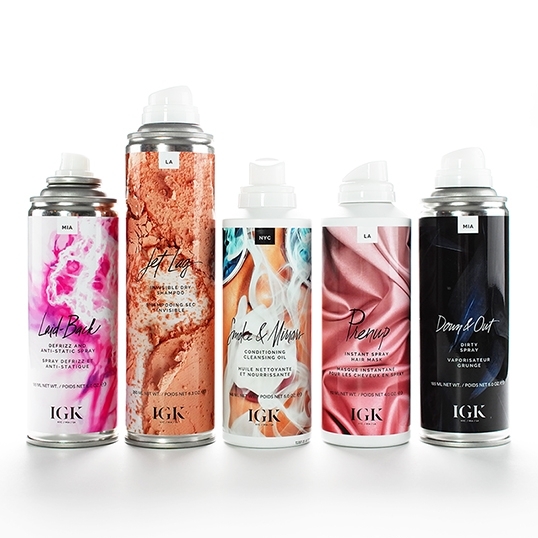 There's 24+ IGK hair styling products, including styling, shampoo and conditioners. You can purchase IGK luxury hairstyling products at Sephora.